We’ve really been looking forward to Fiction Unboxed 1.5, ever since about five minutes after we finished with the first Unboxed on June 30 of this year. Though we started the year without any clue that we’d be doing anything like Unboxed, we appreciated the way it evolved our writing process, making us better faster, and helping many fellow authors to evolve themselves alongside us. 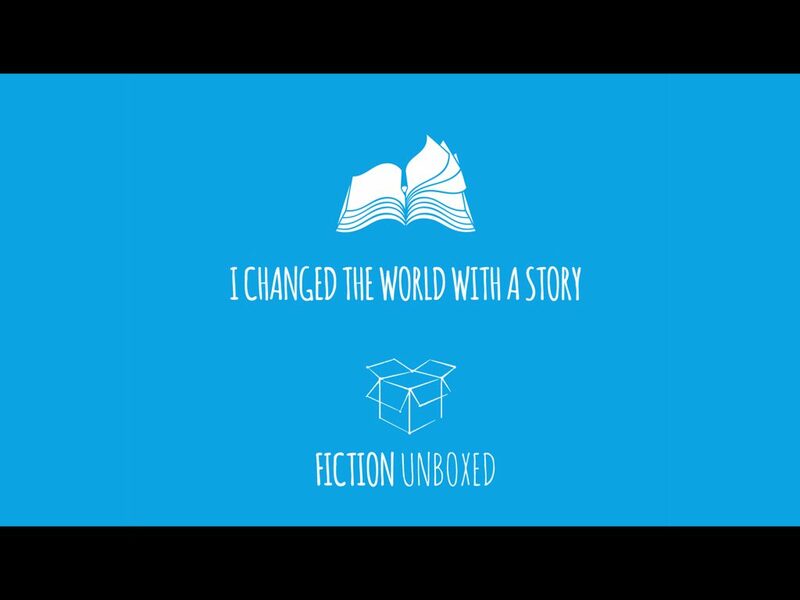 We’re not yet ready for Fiction Unboxed 2. When we are it will be something big enough to deserve the 2 in its title. That’s not what this is; 1.5 is a full evolution of our Unboxed model. Because we’re not making it up as we went along the same way we did with the first project, we have more time to be thoughtful and organized as we go along. As a natural byproduct, we expect Unboxed 1.5 to be easier to consume, and thus more helpful. With the first project, I had to finish the beats AFTER Johnny started writing. That was a rather uncomfortable first for us both. This time Johnny will be starting on beats that I’ve been working on for a month. This will make all of our drafts, meetings, and growth more focused, and instructive. This allows us to do something that would have been impossible our first time around: detail a loose agenda for the 30 days of our project. This is all written in Jell-O. Not only will the agenda be subject to change, I’d be shocked if it didn’t. And that will be for the better. Still, we have to start from somewhere so that we can grow in the best possible way. What follows is enough to give you a good idea of what you can expect from the 30 day project. On Day One we’ll start by exclaiming our hip-hip-hoorays and talking about what we expect over the next 30 days. We’ll go over Johnny’s first impressions of the beats, and detail some of the major story world decisions made during September’s World Builder Summit. I’ll take you on a tour of the Scrivener File created for The Dream Engine 2’s (working title, The Tek Engine) pre-production package. This is the most extensive and time intensive beats package so far, with over 50 hours of development. It’s pretty amazeballs. Johnny and I will hold our first story meeting to discuss characters, both revisiting our old favorites and talking about the things that have changed since last we left them, and detailing the new ones that have claimed their stake in our world. Our world has definitely bloomed since the first book. We’ve gone from Alterra to ALL TERRA (the planet’s name in our alternate history). We’ll start by covering all the new stuff we know, then go over Nova (the North American aggressors), Evergreen (Ireland, where much of the “Lord of the Rings” in “Steampunk Lord of the Rings” will actually come from), and a few of the other places around the ever growing world. After covering everything from the general ways our world has changed to the specificity of characters and locations, we’ll finally dig into The Dream Engine 2 details, covering the beats from chapter one all the way through to the barely there conclusion. Johnny’s going to be doing his best to hit 8K days. This is 25% faster than he normally goes at his fastest, but in perfect alignment with the NanoWriMo ethos. Day Seven: Johnny’s 8K raw words + Sean’s edits. Day Eight: Johnny’s 8K raw words + Sean’s edits. Day Nine: Johnny’s 8K raw words + Sean’s edits. After the first 30,000 words or so, we’ll take stock and answer the many questions that will surely have emerged during the draft. We thought we’d try something different this time, with more structured story meetings. Of course it’s possible, and perhaps even likely, that we’ll have emergency story meetings that take us off course, but if goes according to plan we’d like to have a story meeting here that isn’t so much about the story we want to tell as what we’ve learned (and what you can learn by extension) while telling it. Another story meeting to help us get our heads around the book’s final leg. After three weeks of whirlwind writing, we’ll meet to discuss how things went: what went well, what didn’t, how our process has improved, and what we’d like to see going forward. We’re going to write The Dream Engine 2+3 back to back. This is something we’ve wanted to try for a while, but it’s been difficult to fit it in. And as much as we want to do it for every series project going forward, it will be a while until we try it again. Brainstorming the sequel immediately after finishing the prior book promises to be a blast. When we finished The Beam we sat down to write Plugged, because it helped us explain the world of The Beam to ourselves and thus enabled us to write a much better sequel. Now we want to do the same thing for everyone writing in the world of Alterra. Fortunately, this time we have Garrett to help us. A surprise hangout with some surprise guests! A day before we finish, we’ll be announcing all the details for the upcoming Sterling & Stone Story World Summit: The Colonist Session, coming this spring. We’ll say goodbye with the project’s first and only live video!